Here is some introduction. The Taiwanese HTC Corporation was established in May 1997. Having shown an unprecedented growth rate over the whole period, now the company has become number 1 world producer of Windows Mobile devices, Microsoft Windows CE platform development partner, this relates to PDAs, smartphones and communicators. The majority of HP PDAs are produced under ODM contracts at HTC plants (LG and Compal are also involved, but less), the fact isn't officially unveiled, but it is so. All new handhelds by Dell and Fujitsu Siemens and many models by some other companies are made by HTC people. The situation with smartphones is somewhat different, there are no strict ODM contracts, under which a single brand acquires rights for the whole platform. All standard reference-designs are offered to any operator or company interested. In result, a single model appears under several trademarks (most famous are T-mobile, O2, Orange, I-mate, Qtek). The devices are the same inside and outside. They differ only in the trademark sign painted on the shell, and software might be slightly different (interface, preinstalled programs). HTC Amadeus platform (the second name of Mozart, hinting at the music nature of the device) inside duplicates HTC Typhoon. 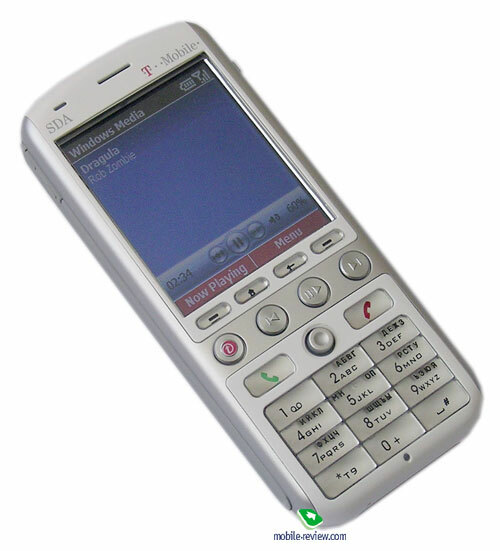 Initially the model was exclusively available from T-Mobile (SDA Music), from 2005 other contractors can have it. You can read the review on HTC Typhoon here to learn more on its functionality, battery life and camera quality. In this particular review we deal with the distinctions of the models. 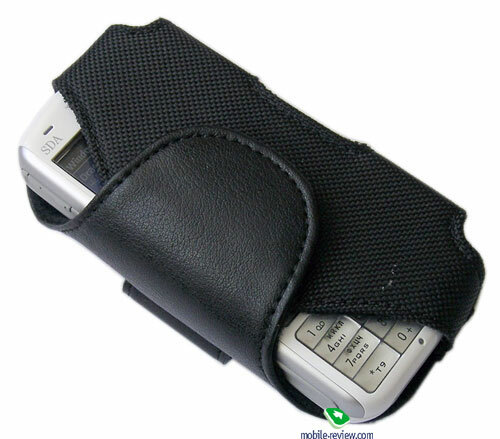 HTC Amadeus differs from HTC Typhoon in design, material of the shell and control buttons. 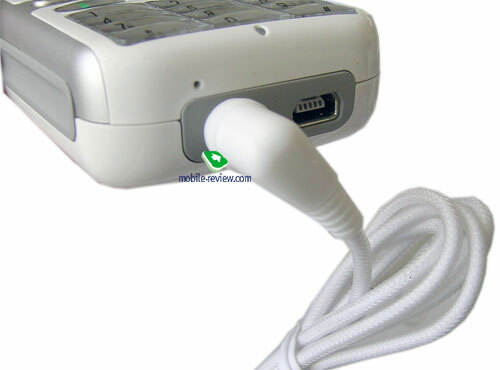 As for the design, you can notice a strong influence of Sony Ericsson t630 (not a direct copy, but an influence) - the white shell, the form, similar buttons: they are smaller in size, but the form is the same, they are also translucent. The white shell of the SDA Music has something in common with Apple iPod players (color, sensation of plastic). 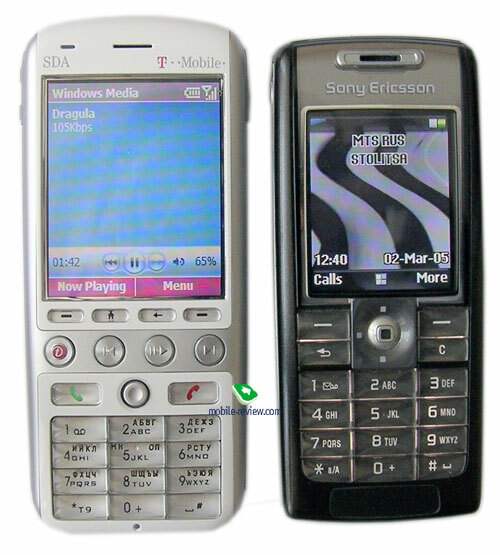 The quality is slightly worse - glossy plastic instead of metal, an analogous situation pops up: Sony Ericsson t630 was wrapped in cheaper shell compared to Sony Ericsson t610. The buttons have a silent and average feedback, that's ok. The joystick feels like that in the model by Sony Ericsson, it's hard to skip this comparison. The key distinction in ergonomics is with four additional buttons to operate music (Stop/Play, Next Track, Previous Track and extra "operator's" button - in this version it launches T-Mobile online service. By pressing one of these buttons (except for "operator's" button) Windows Media player gets launched automatically, and the screen turns on (after a while it gets off). 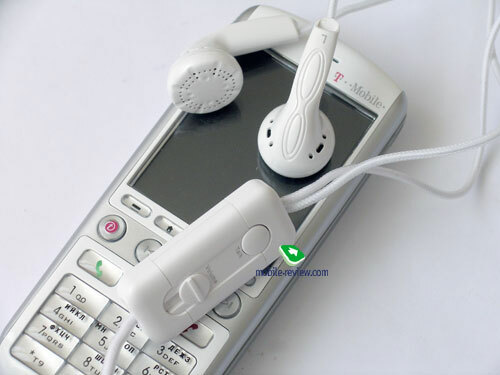 The standard wire headset allows to use HTC Amadeus as an MP3-player (sound volume controlled by the slider with the mic, the smartphone itself is used as a remote control). There is a 2.5 mm audio jack (standard), so we used a 3.5-2.5 mm adapter to plug Koss The Plug headphones and enjoyed fine sound quality. The device involves miniSD memory cards, at the moment you can come across 512 MB cards at the market (the retail price starts from $52), besides a 1GB card is about to appear in Russia. Taking it all into account we can say that HTC Amadeus, i.e. T-Mobile SDA Music is very good as an MP3-player. The only shortcoming is that you should remove the card from under the battery to record new tracks, you can use a card-reader and a USB-cable, however the process takes much more time (there is an unsolved problem with active Sync). The sales package includes a belt case of good quality. The weak point here is that, if the keys aren't blocked (press "End talk" button to enable the function), they are likely to be activated by accident while you take the device out of the case. We won't speak about the software differences, as they vary in different HTC Amadeus versions. You can learn more on the software in HTC Typhoon review. In essence HTC Amadeus doesn't differ from HTC Typhoon (currently HTC Typhoon is the best smartphone powered by WM2003fs). The distinctions touched design, material of the shell (plastic instead of metal) and extra music buttons. The announcement of the devices of HTC brand new platform is expected at the CeBIT exhibition, in particular there will be unveiled a device under Siemens trademark. The model without the contract costs $460.